Jennifer, I like the concept of being able to change your look at will, adding or taking off whatever charms I have. You certainly have a great variety and the possibility of adding more as you go and this should keep folks coming back to you. It’s great that they can start with a low end purchase and work their way up OR start with a higher end purchase and choose lower end impulse buys. Jennifer, your charms are very pretty. Love the charms! I agree that it is a great option to be able to change out the charms. Nicely done! Very pretty charms Jennifer. And the fact that you’ll be offering various price points is great too. I really like that necklace. Well done! 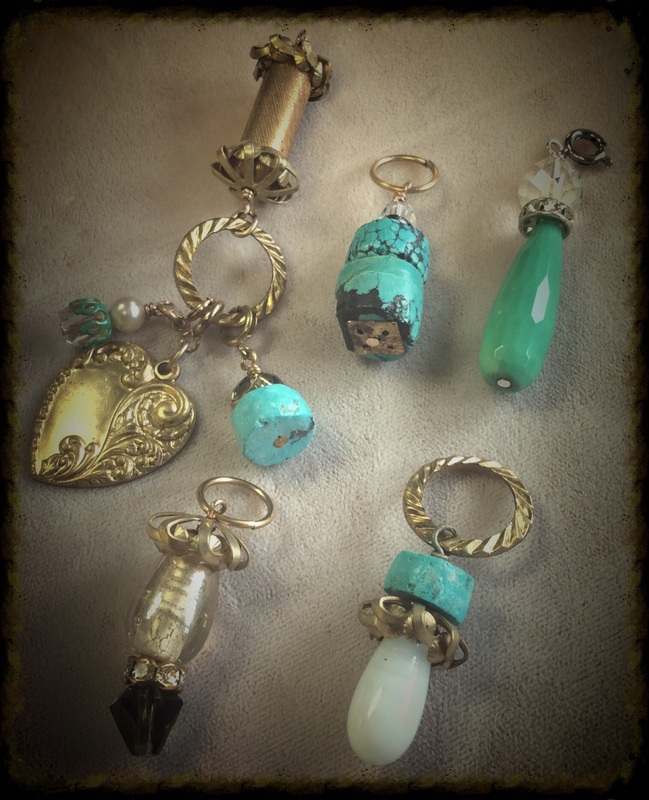 You have created a great assortment of charms for people to choose from. The ability to mix and match and customize with keep your line flexible. Good luck with sales. One of my favorite pieces of jewelry when I was younger was a charm pendant that I could swap out at will. I have no doubt the charms you are making will become someone’s favorites as well. You’ve got some really cool charms here! I love that brass filigree with the green. And the round connector…I use those for everything! Your pieces are really unique, I’m sure they will do great in your new store, and that people will enjoy collecting them and adding more as they come out! congrats on your line and store! 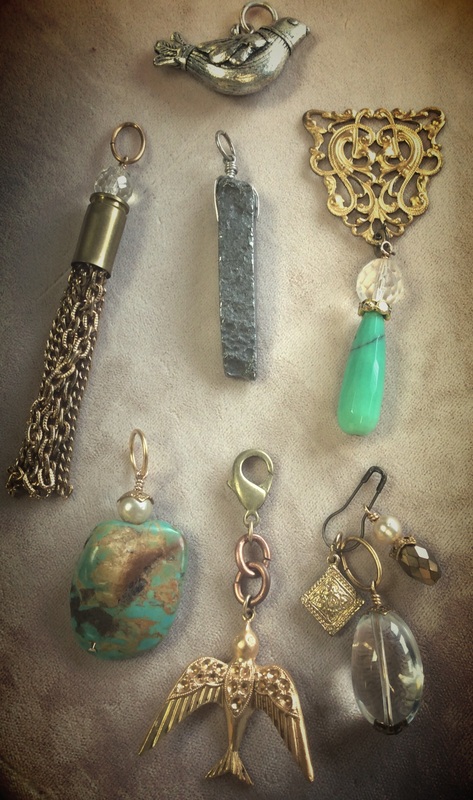 Creating charms that allows a customer to customize their look with one or many is brilliant. Very nice line. Congratulations on completing the challenge. 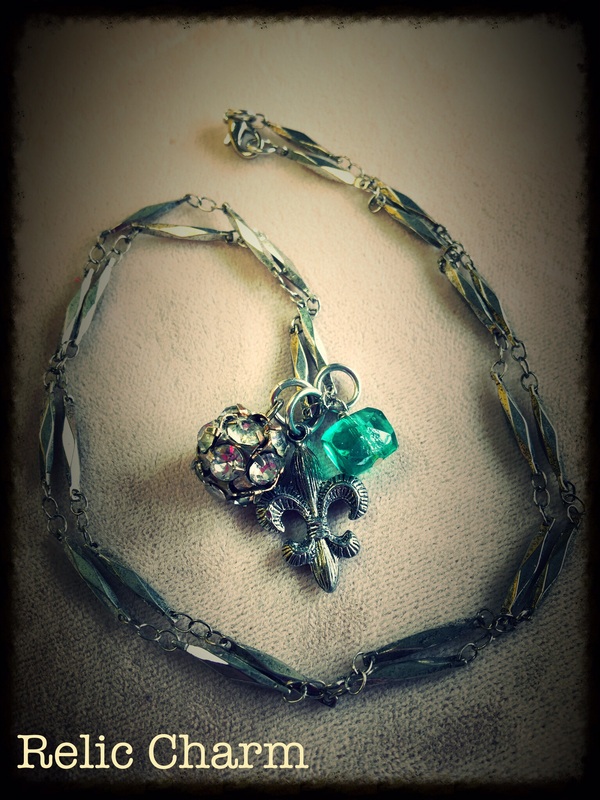 Love your beautiful charms and their versatility, well done my friend. 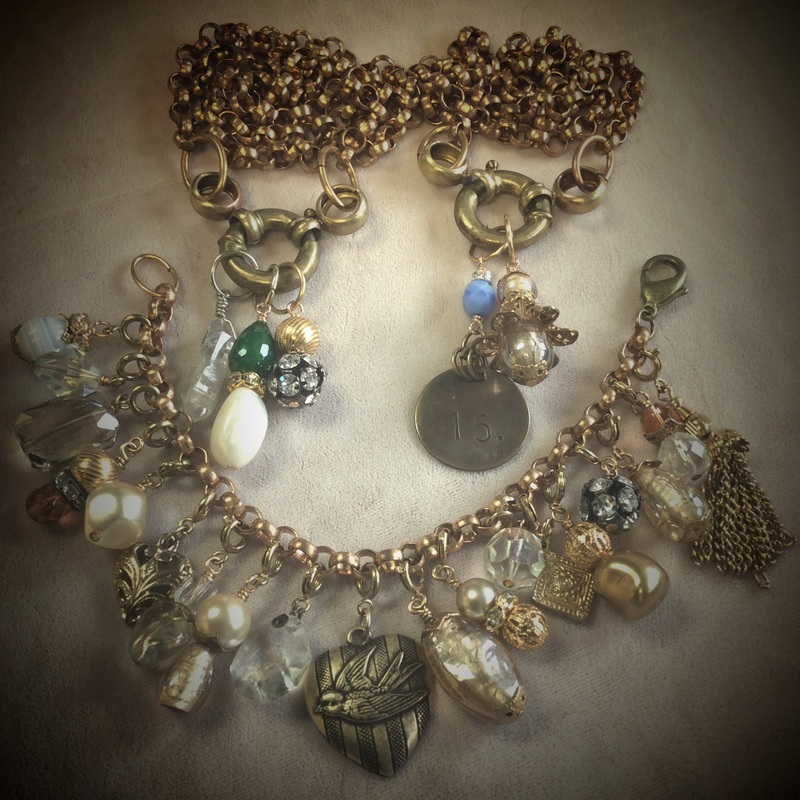 Jennifer–Great idea to give people the option to select from your charms to add to their own style. I think your line will especially appeal to many. Good luck with your new shop. Your charms are gypsy and bohemian. They are always in the trend. I think the line will attract many customers. 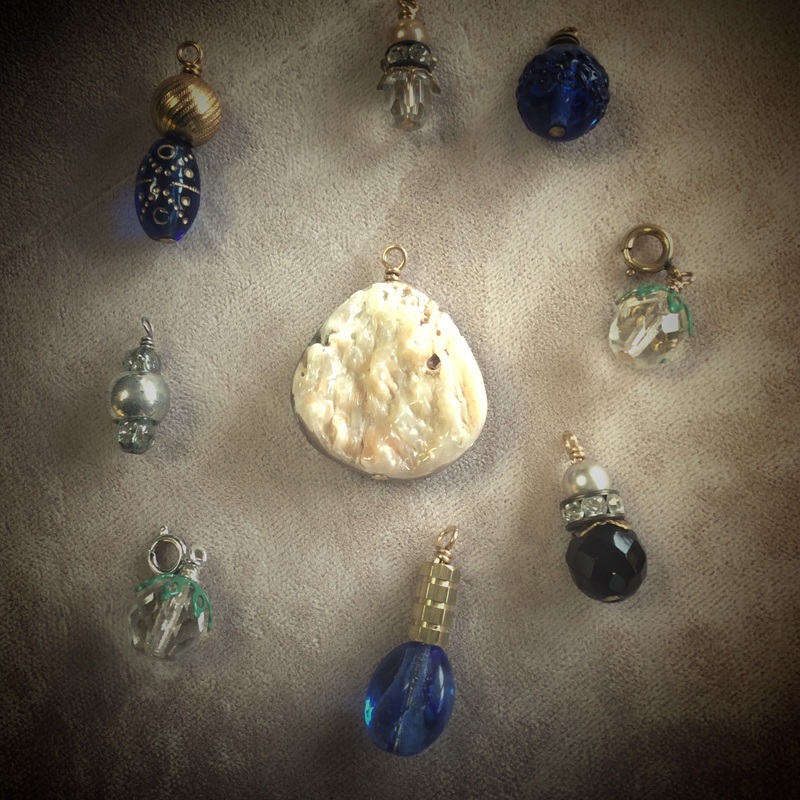 Love your idea of the charms. They are really neat. love the charm bracelet. 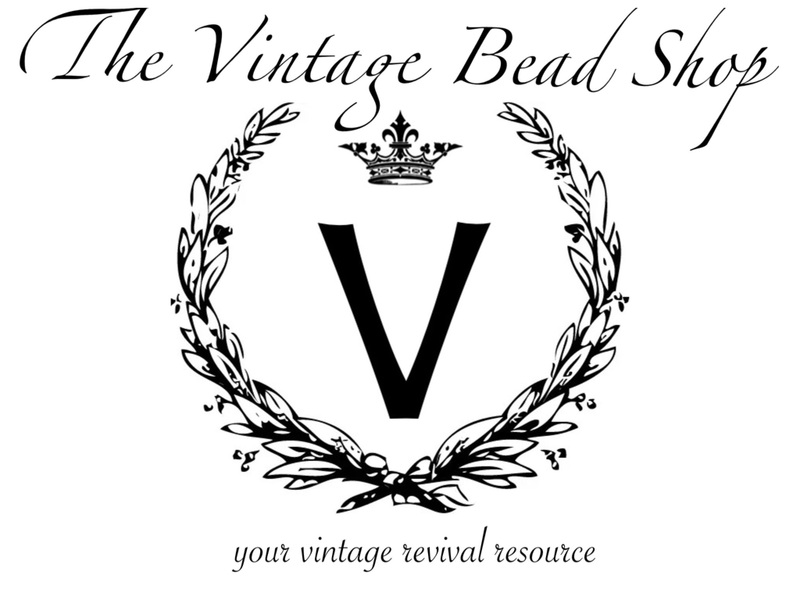 Great line of jewelry started here. Well done Jennifer! I love that a customer will be able to build their own. I’m excited to see the choices!